Geraldine Healy joined the School of Business and Management in 2004 as Professor of Employment Relations and is founding Director of the Centre for Research and Equality (CRED). 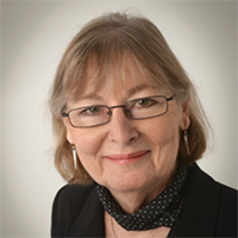 She was previously Professor of Employment Relations at the University of Hertfordshire where she was Director of the then Centre for Research in Employment Studies. She has taught and researched on employment relations, the experience of work and inequalities over a number of years. She has taught at undergraduate and postgraduate level and has considerable experience of PhD supervision to completion. Her research has focused around inequalities in employment and the workplace. She has a particular interest in the interrelationship of a number of themes including the intersectional nature of discrimination; inequality regimes; individualism and collectivism; career and the gap between equality policies and practices. Her recent work has centred on the gender pay gap, the organisation of casualised women workers and she is beginning a new study on the relevance of mid-20th Irish century Irish migration in understanding the contemporary context of migration. Her work has been funded by the EU, ESRC, Leverhulme, the Equal Opportunities Commission, the TUC and Government Departments. She has been a visiting scholar/professor at the University of Sydney, Griffith University, Cornell University and will be presenting at a School of Excellence at the University of Piemonte Orientale in the summer of 2018. She is a member of the editorial board of Industrial Relations Journal and Equality Diversity and Inclusion – an international journal and former member of the boards of Work, Employment and Society (2009-12) and British Journal of Management.